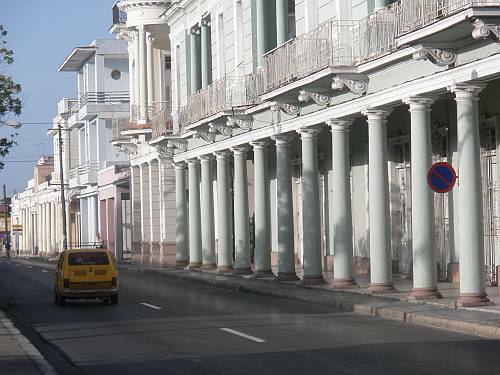 How rare it is to enjoy a World Heritage Site without any other tourists — and with just a few ageing Ladas and Polski Fiats for company, I run easily down the long boulevard stretching out towards the water. Just before the causeway, I find another poster — urging the youth of Cuba to stand united for the cause. 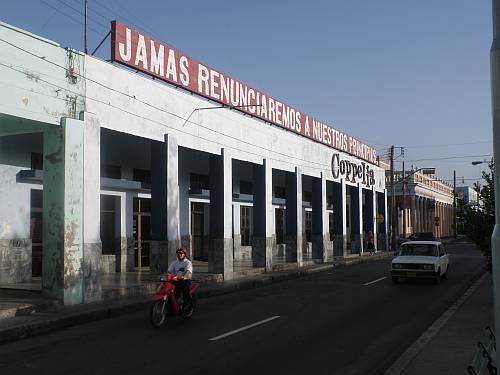 Further on, a billboard proudly describes Cienfuegos as La Perla del Sur, the Pearl of the South. 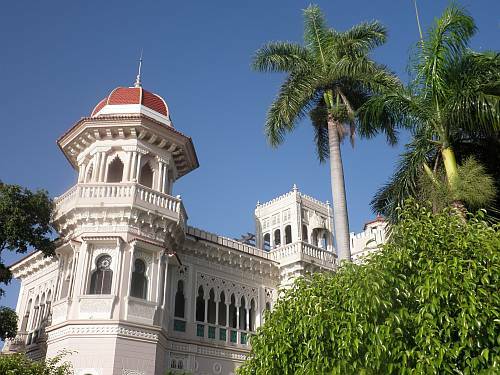 The ornate and sumptuous villas lining the bay road to Punta Gorda tell of this town’s affluent past, reflecting Cuba’s riches a century or so ago. 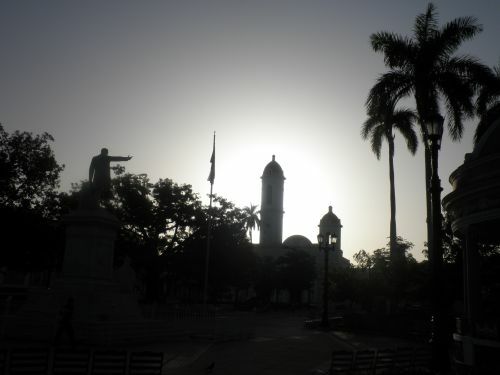 The city is still a centre for sugar, coffee and tobacco. And Fidel Castro has a house in this city, down on the waterfront in one of the finest villas of them all. Story has it that El líder maintains a residence in Havana and in each of Cuba’s 15 provinces, so that he can be at home wherever he spreads the word of this most enduring of all socialist revolutions. 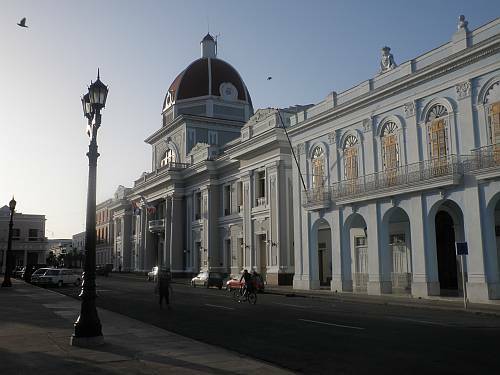 The heart of Cienfuegos is spectacular and iconic. Yet the shops here are almost empty, and away from the main streets it’s a much more modest and earnestly struggling lifestyle which endures. 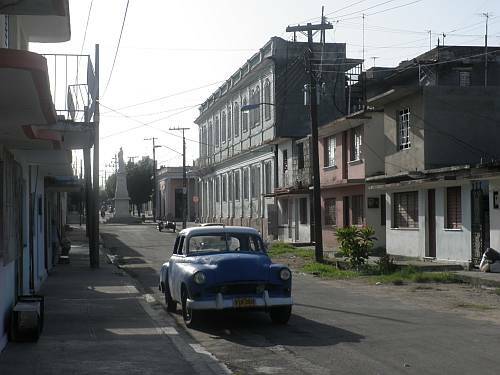 Since the financial crash bled the life out of tourism, the Cuban economy has been suffering. The people suffer through isolation and restrictions as best they can. There are riches in this country, make no mistake. They just don’t filter down. That’s a universal observation, of course, and there’s less inequality here than in most developed nations. 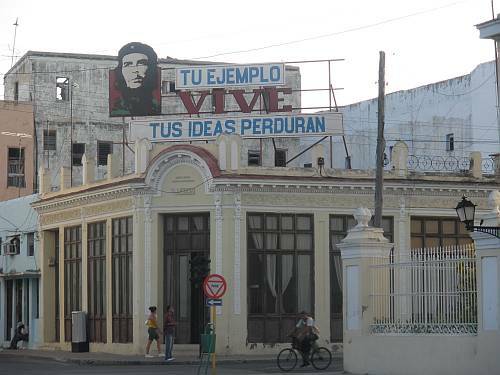 But even in Cuba, some are more equal than others. 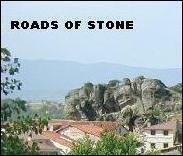 Because ideas may endure and principles stand firm, yet the essential problems remain unsolved. 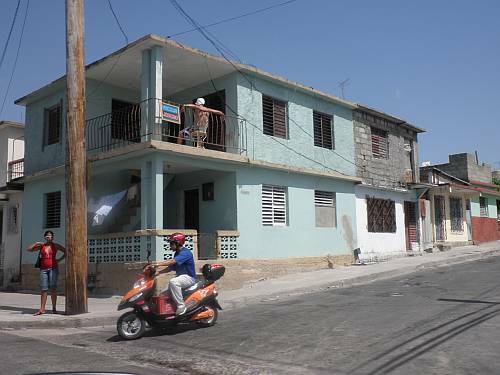 This entry was posted in 2011, Cuba, summer. Bookmark the permalink. All true enough, but more interesting to tell how you were taken in by a con man…!